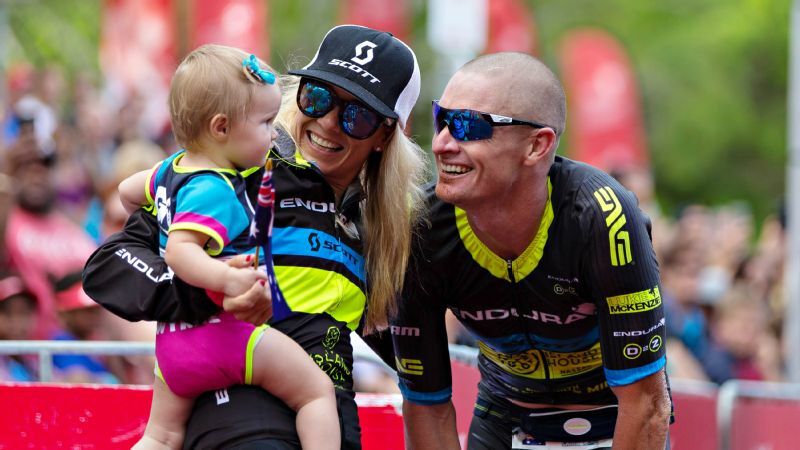 Beth Gerdes and Luke McKenzie hold their daughter, Wynne, at the finish line of this year's Ironman Cairns, an event McKenzie won. In a typical week, professional triathletes Beth Gerdes and Luke McKenzie each put in about 30 hours and hundreds of miles into biking, swimming and running their way into top shape for one of sports' most grueling races: the 2.4-mile swim, 112-mile bike and marathon-distance run combo better known as Ironman. A power couple in the truest sense, they will each contend at the upcoming Ironman world championships in Kailua-Kona, Hawaii. By mid-June of this year McKenzie, 34, had earned 4,450 points toward his qualification for Kona. With that sum he was assured one of 50 spots set aside for professional men to qualify. But Gerdes, 35, with 4,515 points, was not safe yet. That's because the World Triathlon Corporation (WTC), which owns Ironman, only reserves 35 spots in Kona for professional women. 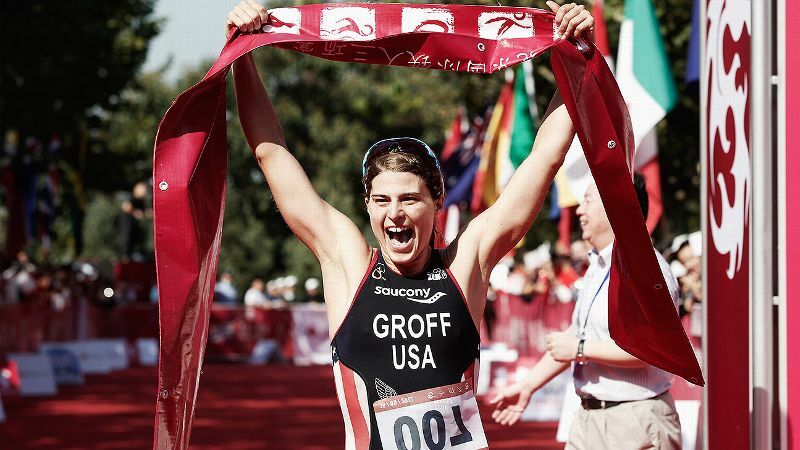 So Gerdes needed another top finish in another full-distance Ironman to secure her place in the Oct. 10 race. She'd already done three, all since giving birth to their daughter, Wynne, in May 2014, and many athletes and coaches agree that more than two full Ironman races in a given season are rough on the body. Four is seriously pushing it. 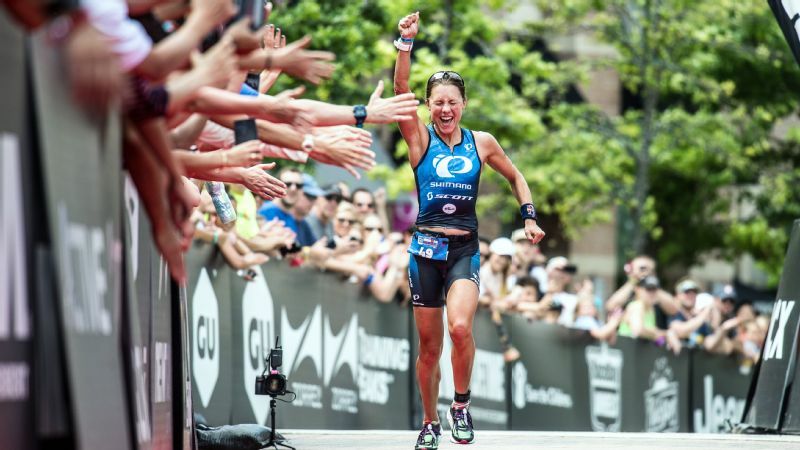 Yet for Gerdes, coming off a yearlong break for pregnancy and childbirth, the chase for Kona points was on and she was building them from scratch. So she quickly added July's Ironman Switzerland to her schedule. She won and accumulated enough points to lock in her ticket to race against the world's best. By the end of that month, the points cut-off for male qualifiers was 3,700. For women it was 4,625. 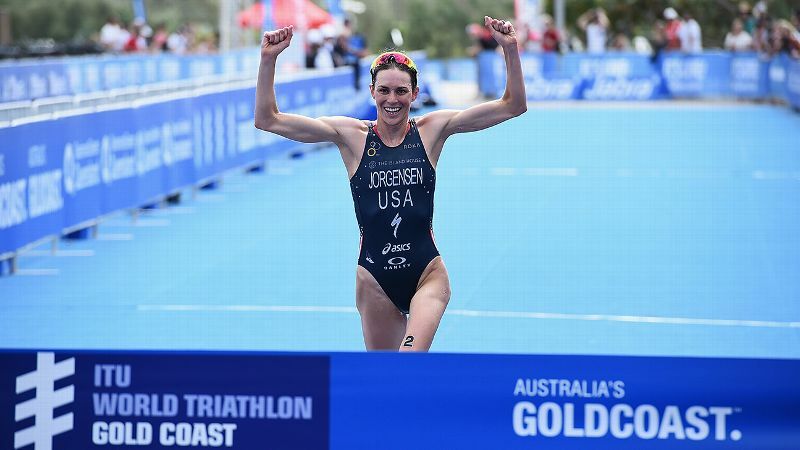 While Gerdes understood the rules and knew she had to race more, spend more and push her body more than her partner for the same opportunity, neither she nor McKenzie think it's fair. "In my belief equality is equality," Gerdes says, sitting next to McKenzie on a short break between workouts at their home in Noosa, Australia. They live there when not in Encinitas, California. "And if you're given equality you're also given opportunity." 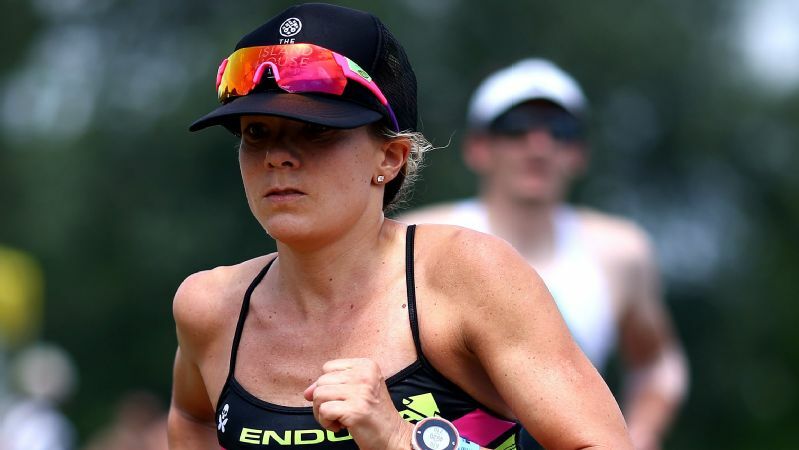 Beth Gerdes won Ironman Switzerland in July, a late addition to her competition calendar needed to lock in enough points to qualify for the world championships. "I would say, how about we put the shoe on the other foot, and we have less men than women," McKenzie adds later. "There would be an absolute uproar!" They are not alone. In fact, the disparity in spots for the professionals at Kona has spurred a growing chorus of athletes -- including some of the best in the world -- to call on the WTC to equalize the start line at their marquee event. Whether that number is 50-50, 40-40 or 30-30, most say doesn't really matter, it's the principle that counts. Although the for-profit WTC announced in April that the Kona qualification rules would stand as-is for this season, a movement known as 50 Women to Kona, so-called after a hashtag of the same name popped up on Twitter last year, is keeping the pressure on in the hopes that change is not far off. "I know all the players and so I can look at that list and look at numbers 36-50 in the men and numbers 36-50 in the women and see that there is no reason that those 15 guys should be there when those 15 women are not," says Hillary Biscay, a professional triathlete and past Ironman champion who sits on the board of TriEqual, an organization launched in March to push for equality in triathlon. "When you know the players and you watch these athletes and you are familiar with them, it's just painfully obvious that there is no disparity in depth to justify the unequal slots." Case in point: Angela Naeth. Last year, she was the 36th qualifier among professional women, narrowly missing a chance to race in Kona. This year, the 33-year-old won Ironman Texas, the North American regional championship, and thus qualified automatically. "What gets me is, it makes you realize that the women that are not in that top 35, are able to contend, you know, if they had the chance to," Naeth says. One of the things proportional allocation does is it delivers a single standard of excellence. Relative to your peer group everybody is climbing over the same bar to get to the Ironman world championship. Biscay, also a triathlon coach and CEO of Smashfest Queen, a sports apparel company, says it's tough to argue with equality. "It's the world championships," Biscay says. "Obviously there should be an equal number of slots for professional women and professional men." The main argument the WTC and its CEO, Andrew Messick, have given for the slot allocation is twofold: for the professional athletes, it reflects, in part, the depth in the top tier of each field; and for those pros, as well as amateur racers, it is roughly proportional to the total number of male and female competitors. "One of the things proportional allocation does is it delivers a single standard of excellence," Messick says. "Relative to your peer group everybody is climbing over the same bar to get to the Ironman World Championship in Kailua-Kona." He explains that because there are more male professional Ironman competitors than female -- about 650 vs. 350 (not all of whom are eligible for Kona qualifying) -- it would give women an unfair advantage if they had 15 more slots. "We just philosophically don't agree that having the same nominal set of slots is a fair outcome because you are making it dramatically easier for female pros to get to Kona than male pros," he says. "And we don't think that's right." But this issue of proportionality has been a source of contention. Some say, by 2015, the larger question of equality should hold sway, regardless of numbers and the different arguments they can be used to support. Naeth calls the debate outdated. "Because you could say that for every sport," she says, "there's more male participants in every sport, really." 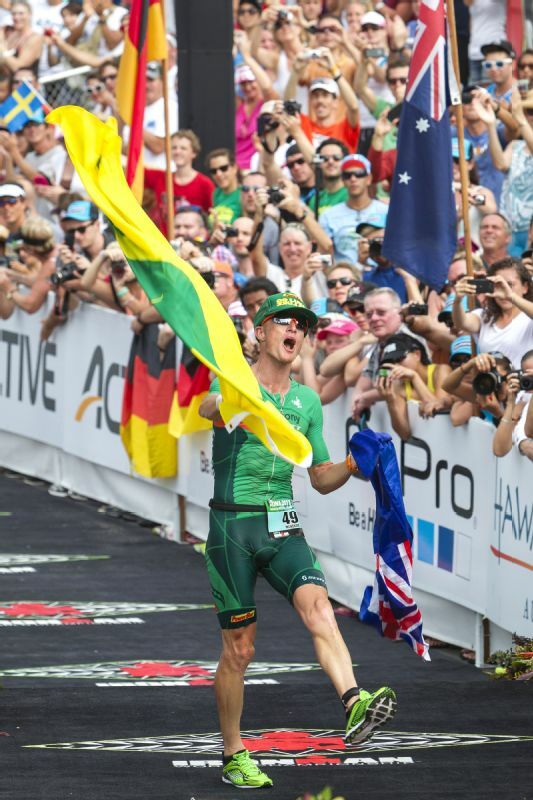 Luke McKenzie finished second in the 2013 Ironman world championships. Others have pointed out that when comparing the professional triathletes who are actually competitive and earn prize money, the total group is much smaller and the numbers are pretty equal between men and women. If proportionality rules, they say, then there should be the same number of slots in Kona. Messick concedes that the slots are not, in fact, strictly proportional. If they were, women would have even fewer qualification spots, he says. But he feels it's worth surrendering some precision to create a single, understandable, set of rules for how all athletes get to Kona. "We're trying to balance what's fair, and what's easy to understand, and what's in the best interest for the whole community," he says, noting that every group of competitors wants more spots in Kona. Of strict proportionality, he adds later, "We are not going to fall on our sword about that particular thing." Nevertheless, for a sport built on a history of equality -- athletes have always raced the same course, the same distances and earned equal prize money -- this one issue is a surprising, discomfiting outlier to many. "In this era and in this climate, to not have equality is just wrong," says Bob Babbitt, a member of the Ironman and USA Triathlon Hall of Fame, and host of Babbittville Radio. To him, discussions of field depth or total numbers of racers don't matter. "I think the right thing to do is to have equal numbers of men and women pros on the starting line in Kona. That's your world championship. To me it's a bad message when you're allowing more men than women at your signature event." As he watched Gerdes' effort to gain entry to Kona, McKenzie was especially concerned about the health toll her excessive racing might take. It's the world championships. Obviously there should be an equal number of slots for professional women and professional men. "There were points where I was almost ready to step in and say, 'This chase, this particular time, isn't worth it,'" he says. But her results were world class, so they had to juggle the risks of long-term damage vs. reaching short-term goals. Had the Switzerland race not gone well, "I think I would have stepped in and told her, 'Enough is enough. Just forget about it for this particular year.'" Gerdes says she knew what she was getting into. Nevertheless, "I just would love to see a more equal playing field in the future, so that women like me show up on the Kona start line fit and fresh rather than really tired." It can be a vicious cycle: race tired in Kona, perform poorly, don't earn enough points for the following season and then start once again chasing qualification and over-racing. Reigning world champion Mirinda Carfrae, 34, says there may be more pressing issues for professionals than getting 15 more women to Kona, like the points system that encourages -- perhaps requires -- excessive racing (and its attendant risks); start times at many races that wedge pro women between pro and amateur men, compromising their races; or prize purses that could be bigger and pay deeper into the field. But she also supports the push for equal slot allocation, and, like Biscay, believes the talent at the top end is equal among men and women. "Equal numbers in Kona just makes sense," she says. "And I think it just would be a great step for Ironman just to help encourage more women to join our sport." "What gets me is, it makes you realize that the women that are not in that top 35 are able to contend, you know, if they had the chance to," says Angela Naeth, who qualified for Kona this year after just missing the cut last year. Yet Carfrae does believe that the overall number of professionals racing at the World Championships should be smaller. "Honestly I would love to see 30 or 40 of the best of the best," she says, adding that it doesn't make sense for an athlete to race in Kona when they wouldn't finish among or close to the top. "It's hard to make that cut, but that's sport." In 2017 the WTC will make the Ironman 70.3 World Championships a two-day event with men and women racing separately. The format will allow the same number of professionals to race each day. "And so, we're looking forward to that very much because, maybe, we're going to conclude that having 50 men and 50 women is the right thing, and we don't care if there is a different standard," Messick says, noting, however, that in Kona the logistics of multiple race days might be insurmountable. "So I think that is going to teach us a lot about what the right path forward is." 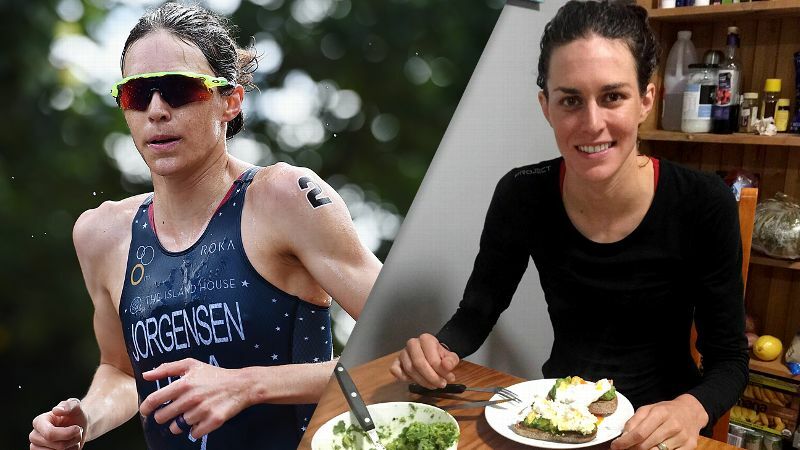 Whatever happens, Rachel Joyce, 37, another top professional triathlete who placed third in Kona last year and is headed back in October, says she and others pushing for equality are not likely to give up any time soon. "When you get a bunch of endurance athletes onto a campaign that they believe very strongly in, they're in it for the long haul."